There is a mechanic shop in the heart of industrial Kingston - it’s tucked in the corner of a dusty cul-de-sac, surrounded by dead trees and rusted out machinery. That’s where The Glorious Sons call home. Having burst onto the scene in 2013 by winning the HTZ-FM Rocksearch and following that up with two top-10 Active Rock singles (“Mama” #6, “White Noise” #2), this band’s ascent in the world of Canadian music has been quick and well-deserved. They are the next generation of great Canadian rock to emerge from the Lime Stone City. The Glorious Sons are an everyman band, telling real stories from a blue-collar perspective. They hit their stride with their new album, “The Union”, a collection of honest and heartfelt songs touching on themes of life, love, passion, loss and redemption. Vocalist/lyricist Brett Emmons is one of the strongest new voices in Canadian rock, backed by a lush, loud and powerful soundtrack supplied by guitarists Jay Emmons & Andrew Young, and the rhythm section comprised of Adam Paquette (Drums) & Chris Huot (Bass). After recording their debut EP (“Shapeless Art”, 2013) with The Trews’ John-Angus MacDonald, they paired up once again to produce the lions share of “The Union”. John-Angus imparted a level of song-craftsmanship and experience that the band found invaluable. The results speak for themselves with an eclectic and cohesive collection of songs including the fist-pumping drivers “Hard Times” and “The Contender”, the epic “Lover Under Fire”, the chaotic title track “The Union” and the beautifully crafted album closer, “Amigo”. In addition to John-Angus’ contribution, the band also worked with famed Canadian super-producer Gavin Brown on two tracks – the lead single, “Heavy” and the hopeful full-band ballad titled “Lightning”. The album also features re-mastered versions of the band’s two previous top ten singles, “Mama” and “White Noise”. The album was mixed by Werner F and Gus van Go. 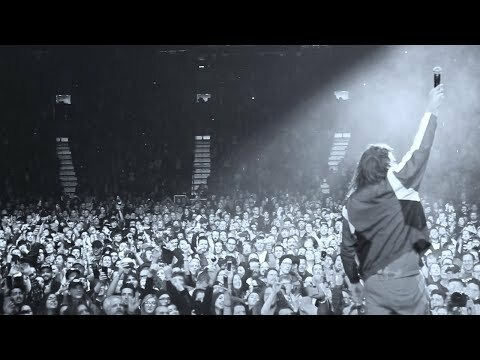 The real power and beauty of these songs comes to life on a live level. 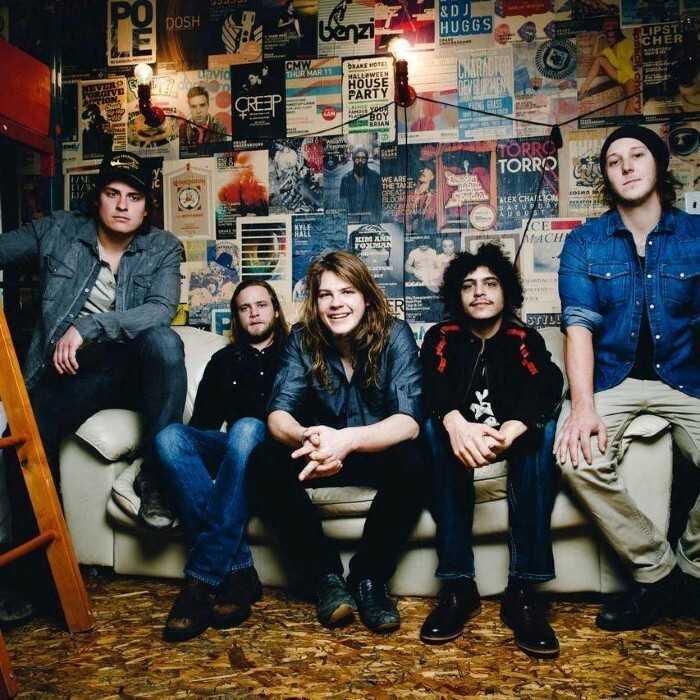 The Glorious Sons are quickly becoming known for their energetic and unrelenting live shows – vocalist Brett Emmons has an uncanny ability to win over a crowd no matter what the size – small club or festival headline, this band engages their fans in a way few acts can. Even with all that has happened in the last eighteen months, the band has stayed true to its blue-collar roots. You can still find them jamming above that same dusty mechanics shop. They’re unabashedly honest and real which is what is most endearing about them to their fans. That’s a characteristic they will carry with as they travel across Canada and around the world sharing their music with anyone who will listen. “The Union” will be released on September 16th 2014 by the eclectic Toronto-based indie label, Black Box (Shad, Northcote, Lyon) and will be followed by a national tour supporting Australian rockers Airbourne. For more information visit theglorioussons.com.